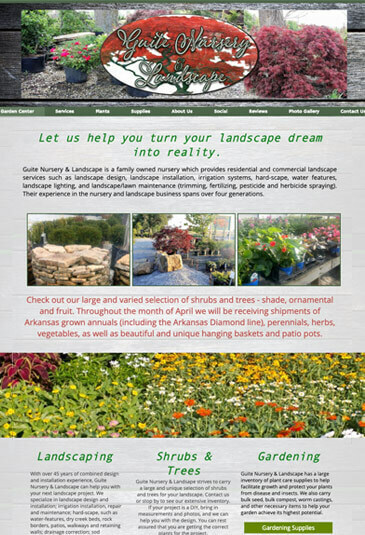 We believe every garden center should have a website that reflects their distinct products and services. 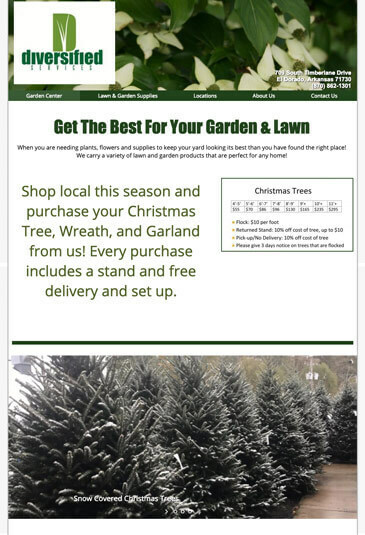 After countless hours of research and conversations with garden center owners, we have created a website design process that gives busy garden center owners the online marketing and support needed to thrive. We have put together a team of trained professionals to bring you the best website and customer service possible. 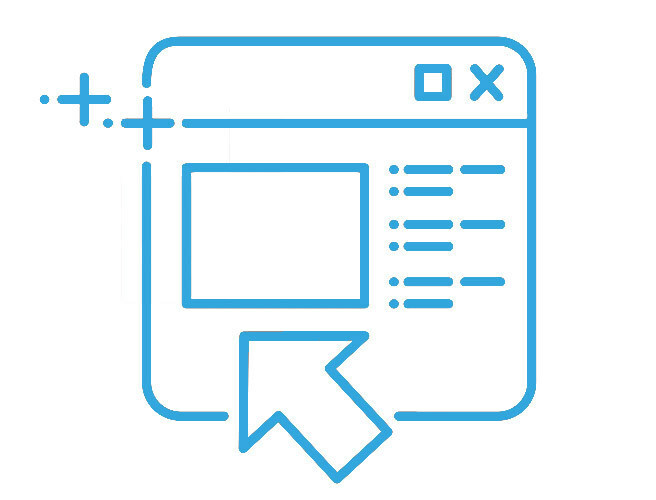 Our seamless process makes it easy for us to create your dream website and make your vision a reality. We keep you involved throughout the entire process, to meet and always exceed your expectations. You're able to start promoting your business once the website is complete, but our support doesn't stop there. Our client services team is always on standby to help you with any questions as you begin to work with your website and help make changes as you see necessary. Our first step when creating your website is getting to know you and your business. One of our highly trained experts will set up a time to talk to you so that we're able to fully understand the wants, needs, and expectations for your website. We work with you and keep you involved every step of the way to ensure your satisfaction with the finished product. Our goal is always to make the process as easy as possible - leave the work to us! Having ecommerce capabilities on your website allows consumers to make immediate purchases while browsing online. It also gives you the opportunity to reach consumers who might otherwise be outside of your normal customer base. 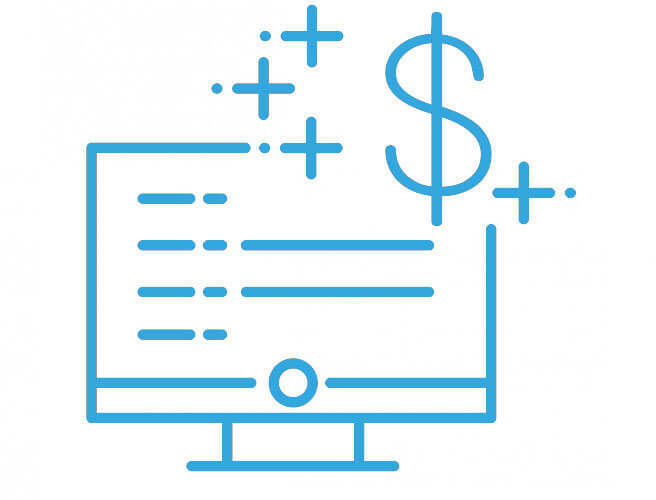 The material calculator function on your website allows customers to get an idea of how much of your product they'll need for their project along with the estimated cost. This helps your customers get a better idea of the overall layout of their project. Having a collection of your work and products on your website allows customers to keep up with what's in season as you update your inventory. Customers will also be able to get an idea of the types of plants and other garden materials you carry. Easy to use form for ordering your products online. Show customers everything in your inventory! Answer customer's questions without picking up the phone. Assistance and personal attention from the experts. Tips and tricks to guarantee an effective online presence. Easy connection with potential customers. 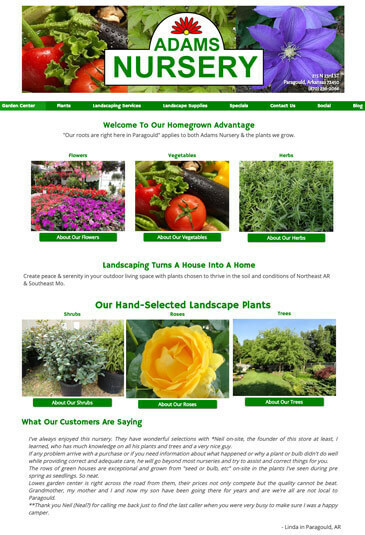 Get A Garden Center Website Now!